The annual series will be replaced with something decidedly more substantial! 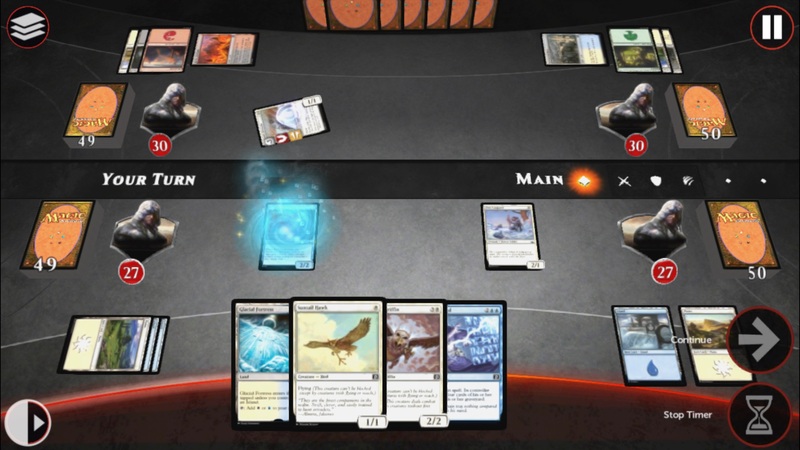 Wizards of the Coast are introducing a brand new way to play Magic: The Gathering with a special app called Magic Duels: Origins and are subsequently retiring the annual Duels of the Planeswalkers series. The previous version of the game did receive yearly updates and changes, new cards, and other smaller alterations, but now the company has decided it's time for a change. Magic Duels: Origins will feature modes better suited for multiplayer, an advanced deck-building mode, and improvements to the UI that fans have been clamoring for. There's even been changes made with the deck builder with a new wizard for players to use different deck types and use specific cards to fit within them. Additionally, solo battles will allow players to keep facing off against AI opponents using decks that were automatically and randomly generated for them, so there doesn't have to be an end to the fun if you don't want to stop playing. These are only but a handful of the features Wizards of the Coast has announced and shown off to journalists eager to see the game continue to improve. Keep an eye out for our review once the game is firmly within our grasp!